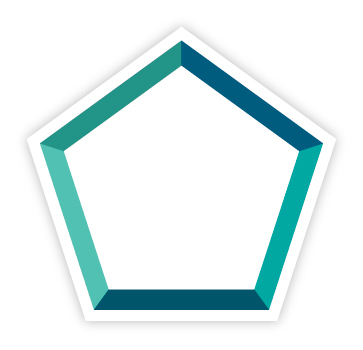 The 5 F's - A Guide to Balanced Living - Bryan Nichols & Associates Psychological Services, Inc. The 5F’s is a personal guide to balanced living that I evolved for myself over the course of about 10 years. I have shared this guide with many of my clients who have found them as helpful as I have. I was a child of the social movements of the 70’s and very sensitive to the plight of people living in and around the poverty line. I was adopted as an infant into a loving and upper middle class family. But, when I saw people struggling on the streets of my hometown Washington, D.C., I thought, “there but for the grace of God go I”. I couldn’t come to terms with the serendipitous arrangement by which I had been blessed by fate while others had not. My sense of unfairness about the social arrangement, mostly class and race disparities, spread to my view of money, which I saw increasingly as a corrupting influence, truly, “the root all evil”. 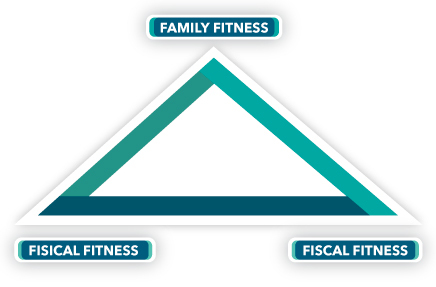 As I ran for the next few years I would recite my “Physical Fitness – Fiscal Fitness” chant. But then, life happened and I married that girl I took to the movies and pizza parlor. Suddenly, physical and fiscal didn’t seem to be enough. I began to think, I really have to ensure that I devote adequate time and attention to my wife. But that attention to my wife can’t diminish my love and attention for my parents, sister, and beloved aunt. I began to realize that such attention can’t be taken for granted; I can’t assume it will just occur in the normal conduct of a busy, professional life. I have to be intentional about it! To this point I had developed the 3F’s of a well-lived life. And yes, for the more than few people who have inquired, I do know that physical does not start with “F”. But in my world, in my system, it could be “Fisical” if I wanted it to be. The 3-F’s worked well as a foundation in my early adulthood. I could, assess myself at any given moment in each of the 3 areas to determine how well I was living. I told her, somewhat sheepishly, that I “slipped out to the golf course today.” She said, “you SLIPPED OUT!!?? Why did you have to slip out? It’s like you’re sneaking around or something”. If you’ve ever been busted for something you didn’t even know you were doing wrong until the moment you got caught, then you know how I felt that evening. I was definitely sneaking around! I didn’t feel entitled to my love of golf, especially when I was able to spontaneously play on a week-day if a few appointments got cancelled. The truth is that I felt guilty about it! But that moment with my wife uncovered yet another “F” simultaneously, one that had always been dominant and operating in plain sight. It was “Fulfillment”! Remember that I was the kid who thought that money could be the root of all evil. The antidote to the idol worship of money was to work tirelessly for the good of all humanity. Make the world a better place! It was, in my mind, a noble pursuit that justified the blessings of my somewhat privileged upbringing juxtaposed against the struggles of people living on the economic edge. I had to fulfill the promise and responsibility of my blessings. It was what intellectually and spiritually excited me. But it was also a slave driver, compelling me to work long hard hours, to often take less pay than I deserved, and to forestall the fun I craved. I lived my life like Steven Spielberg’s Private Ryan perpetually trying to justify the sacrifice of the men who died to save him, and punctuated by one of his savior’s dying words, “Earn this!” I felt obligated to earn my good fortune, to account for the way the fates had smiled upon me. Fulfillment was really the most powerful and driven “F”. In conjunction with my other three F’s, it crowded out my natural and inescapable desire for fun, which, for me, was expressed in sports through golf. I would have to “sneak out” to play golf if I didn’t own my desire and need for fun. I had to place fun on par with all the other F’s if I hoped to keep it in perspective and to not have periods of over-indulged compensating fun, and that’s the kind of fun that tends to get us into trouble. And yet, much as I questioned the potentially neurotic origins of my drive for fulfillment, I understood it as fundamental force of my life. This is who I am, but I just need to keep it in check, not give it full rein to dominate and push out all other necessary and desirable elements of my mythical “well lived life”. I wondered which of my F’s came first, or second, or third. I cherished all of my F’s. As a matter of fact, I thought that it had been my devaluation of fun that had led to some of my struggles. It occurred to me that no F trumped another. It felt a bit like heresy to think that “Fun” could stand on par with “Family” or “Fulfillment”, but I concluded that with the way my personal psychology worked, fun had to stand on par with the other F’s lest it yield a subversive, corruptive influence. Putting F on par with all the rest of the F’s then led to the more general proposition that all the F’s needed to stand as equally influential elements in BALANCE! 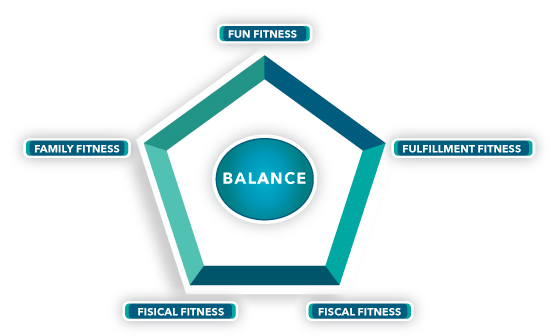 Balance became the organizing principal of the 5F’s, and Balance evolved into my more fundamental recommendation to my clients for emotionally healthy living. My 5 F’s are very personal to me. I don’t doubt that there can be value for others in the F’s that I stumbled upon throughout my life, but I don’t propose them as universal. There may be another F out there, or someone else might find excellent guidance in the 4 S’s, or 6 G’s, or any number of letters in the alphabet that suits the fancy. But, I do recommend balance as a crucial element of mental health. It’s the balance of the 5 F’s that keeps me grounded, the perpetual tension amongst those elements that keeps me on my toes as I strive to attend to each and every one of them. Now don’t get me wrong, I am almost never adequately attending to all 5 F’s at any one time. At my best I’m usually good with 3 of the F’s and struggling to attend to the other two. But, remember, I’m not a perfectionist. I don’t need to be in constant perfect balance. Balance is an aspiration, not a commandment! In my mind’s eye, the 5 F’s are on something like a car’s steering wheel that I subtly adjust constantly to keep the car straight on the road. Too little exercise, I steer slightly to the left to get the “Fisical Fitness” straight. 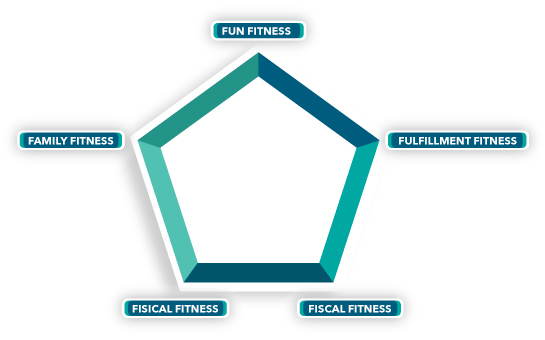 Late getting my taxes to my accountant because of a golf outing, steer a bit right to have better “Fiscal Fitness”. It’s perpetual wrestling with the powerful pull of each F that aims me toward my lifelong pursuit of balance. There have been many occasions when I’ve presented the 5 F’s to very successful, high-powered executives and professionals. What I often sense from them, and they tend to confirm, is that Balance sounds a lot like Mediocrity. In fact, one of my clients recently told me that he had been goaded by a colleague to exhibit more single-minded obsessiveness if he wanted to be successful. Until some future life in which I conduct psycho-biographical studies of great figures in history I can’t dispute the notion that obsessiveness is required for what we generally think of as greatness. Were any of Mt. Rushmore’s presidents balanced? How about great champions of justice such as Martin Luther King, Ghandi, and Mother Teresa. Do we think of our great athletes like Tiger Woods, Roger Federer, and Peyton Manning as even keel and well adjusted? Doubtful. But, I argue that balance can yield greater mental health and personal satisfaction, and maybe many of the achievements that society and historians recognize as great. Yet, balance requires compromise and the possibility of falling short of complete attainment of any one goal in any one domain. I recently asked a highly successful entrepreneur and CEO if instead of taking his company to the $100 million dollar plateau, as his background suggested was within his range, would he be happy if he attained only a $40 million dollar level, but had satisfaction and happiness in his family life? He had never juxtaposed the two in this manner before and the question definitely gave him pause. In the end, the latter of the two options did seem appealing, but he also squirmed and struggled with the imagined loss of a long held aspiration and dream. In this story we see both the costs and benefits of balance, and my contention here is that the benefit, for most of us, is worth the cost!